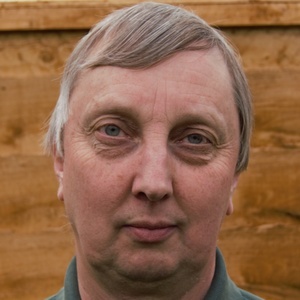 Peter Caton is the Green Party candidate in Cranham in the Havering local election. Our volunteers have been adding information on Peter Caton - here's everything we know so far! A lifelong Upminster resident, I belong to many environmental organisations, am a member of Upminster Methodist Church and a West Ham season ticket holder. I run a company manufacturing adhesives in Purfleet and am a part-time author, having written six books, mainly about walking and travel. I am standing for the Green Party because I believe that protecting our planet, its people and wildlife is the most important issue that mankind faces, and because I believe that we need a society and economy that are fair to everyone. I am a firm believer in all forms of equality, improving public transport, supporting local shops and small businesses, support for science & technology, dealing effectively with the increasing problems of homelessness and preventing cruelty to animals. Locally I would push for improved bus services, a more effective and less damaging alternative to Thames Crossing Option C, reduced business rates to help local shops, protection of our precious Green Belt and for more social housing. This statement was added by Peter Caton, their team, or by a Democracy Club volunteer, based on information published by the candidate elsewhere. If you can add information that should be on this page - such as Peter Caton's CV, homepage please use our crowdsourcing website to add it.